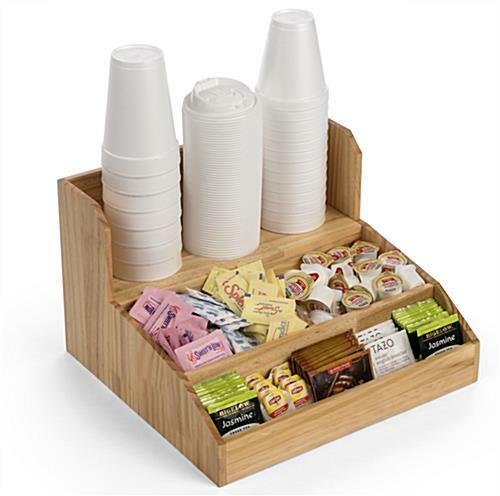 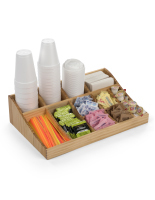 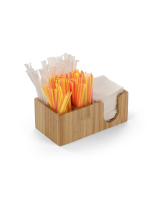 This wood coffee condiment station has plenty of space to hold sugar packets, tea, and creamers, making it an excellent option for keeping your breakroom countertop or restaurant beverage self-serve area clean and tidy. 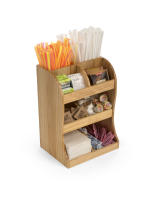 The rear shelf of this café organizer allows you to stack cups or carafes, saving space and adding convenience for guests. 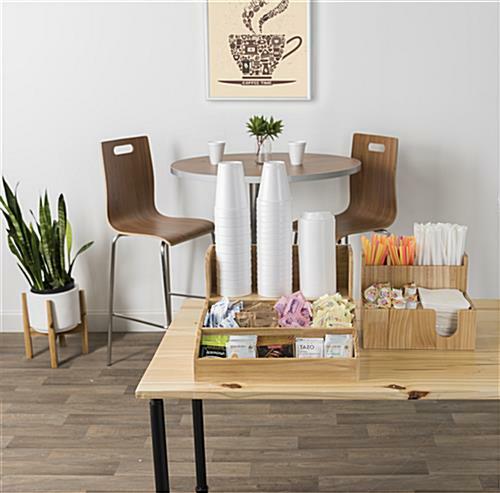 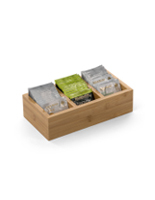 Perfect for commercial applications or small-scale use in an office, this countertop wood coffee condiment station has a natural pine finish that lends a warm and contemporary feel to any environment. 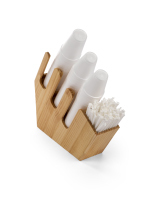 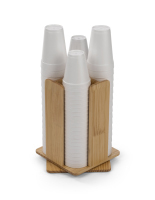 In a busy restaurant setting, the open-top design makes restocking as quick and easy as can be. 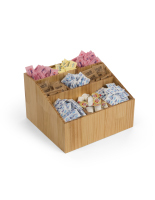 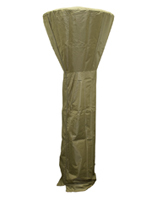 The shallow front pocket is ideal for displaying all your tea bag and hot chocolate packet offerings. 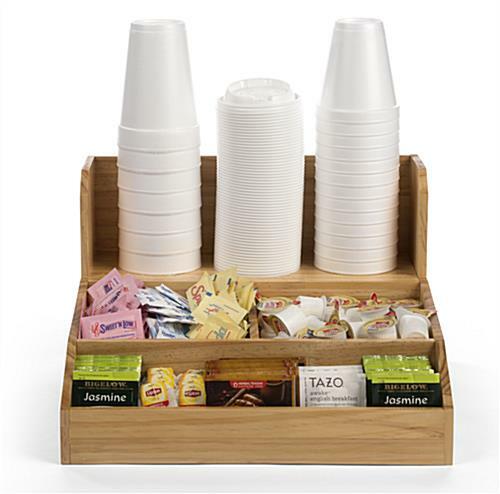 Provide your guests with a convenient place to find all their beverage supplies with this wood coffee condiment station. 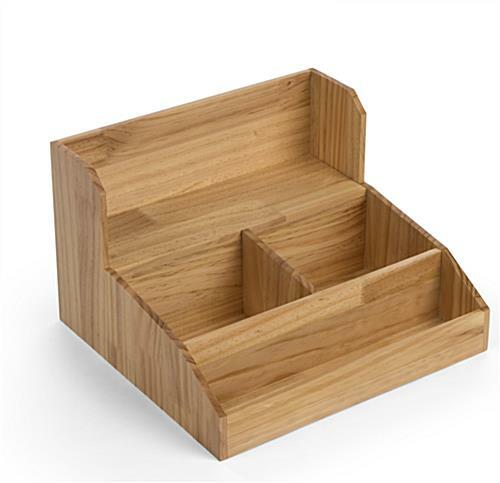 14.9" x 9.5" x 13.6"
6.9" x 4.5" x 5.3"
14.3" x 3.5" x 2.7"
14.3" x 4.5" x 4.5"